My name is Constantin and I design digital experiences to solve problems. I recently graduated with a B.A. in Interface Design and currently I’m working at SAP Innovation Center in Berlin and Potsdam. Here's my CV. In a nutshell, I design digital products and services to solve problems. Throughout most of my design work I try to apply testing methods to validate assumptions and concepts. I try to establish a constant loop of feedback from all different stakeholders (users / developers / management) to achieve an iterative process improving the product with each cycle. Design is not just the aspect of creating easy-to-use interfaces – every discussion, decision and line of code written leads to well designed software. To solve complex problems with various technical constrains it is important to define the core problem early on and also to look at the underlying business process and strategy. Possible solutions need to be constantly validated with users through whiteboard sketches, paper prototypes or click prototypes. I like working in agile teams and to quickly react to new insights and challenges – even if it means to start from scratch several times. As a designer I’m always looking for the sweet spot between ease of use, functionality, efficiency and visual aesthetics to achieve a desirable, human-centered solution. During the design process I’m not only creating digital interfaces but often I need to serve as a personal interface between all stakeholders involved in a product. Empathy for each different role and trying to understand their perspective and goals are key to finding a solution that benefits everyone. If possible, I always try to learn new skills to achieve a T-shaped approach which helps me to better communicate with people from different domains. I started over ten years ago with a focus on highly detailed icon, interface and web design but also learned skills in print and motion design while working in advertising agencies. During my interface design studies at FH Potsdam I looked into generative design and animating interfaces as well as training in user experience and empathy. I also learned how to conduct usability tests and how to validate design assumptions for user-centered interaction design. Recently I got into prototyping complex interactions in Axure and detailed interactions and motion details in Principle. While pursuing a startup project I noticed a lack of business knowledge which lead me to study international management. Together with my web development skills this helped me to communicate more efficiently with people from different domains and to eventually build better products. Employees had to register well in advance using a Doodle list and many either showed up without registration or not at all. Therefore shuttles were driving empty and thus generating unnecessary costs. Sometimes additional cars had to be dispatched leaving employees waiting. 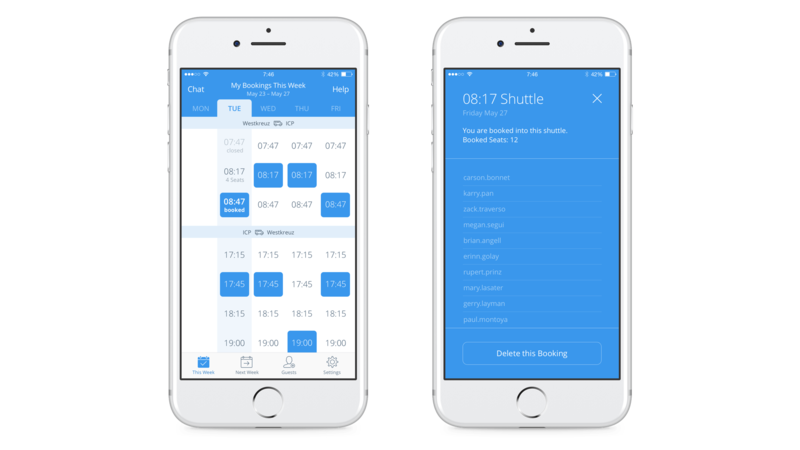 To fix the inefficiency and to save costs a shuttle app has been developed, making it easy to book and also cancel shuttle rides. See all your bookings at a glance and who else will be on the same shuttle to ride together. 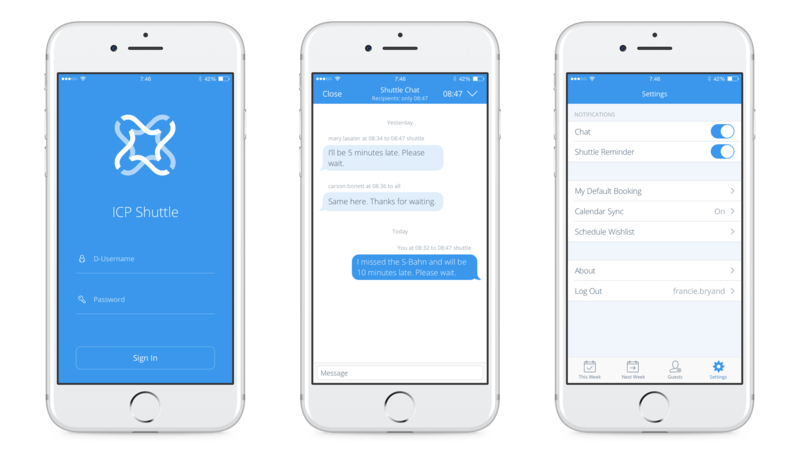 A chat feature allows to warn others of delays in public transport or to ask for a shuttle to wait in case of being late. Additional seats can be registered for kids or clients. 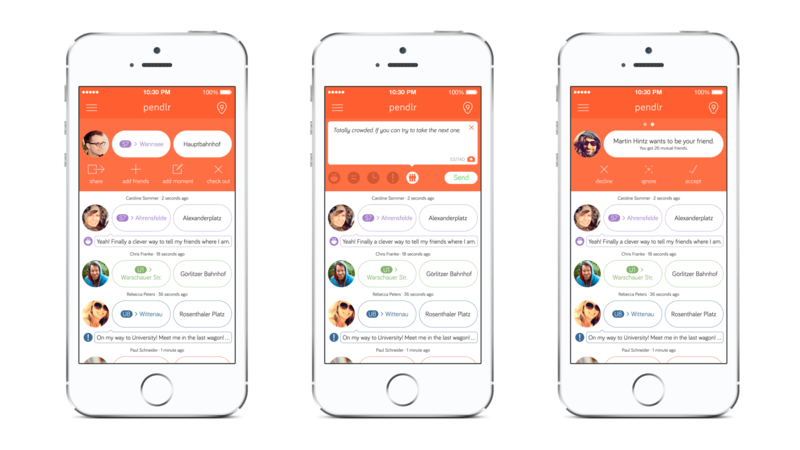 The app went through multiple iterations involving interviews and user tests with all stakeholders. The dominant business model of the web is based on advertising – but it also increasingly leads to content being only created for the purpose of users viewing ads. Clickbait, click fraud, trackers and ad blockers are on the rise and content creators are now adding blocker-blockers or paywalls as a last resort to generate revenue. Netcash is an online payment service which allows users to load money into their Netcash wallet and pay for online content on a per-use basis for prices as low as $0.05, removing the need for ads and trackers. All with just one click, or even easier, with scroll-to-pay, which doesn’t interrupt the most common interaction when reading articles. A browser plugin with built-in ad blocker makes this possible. If users are not satisfied with their purchase they can get a refund instantly which gives content creators a way to gauge quality and price. Netcash also gives users a central place to manage subscriptions to eleminate the need to provide payment details for every single service separately and for easy cancellation. The onboarding process. User downloads and installs the Netcash plugin in the browser. Scroll-To-Pay: Buy digital content without breaking the consuming interaction (scrolling). Get refunds instantly and automatically. Adding money to the Netcash wallet if funds are depleted. Ideally, this service offers a valid alternative to advertising and opens up new ways to finance online content. Large companies are struggling to keep up with tax regulations and to apply the correct tax rules, rates, deductions and postings to their massive volume of transactions. Accidental errors and fraud are an increasing danger for companies in terms of lost revenue and compliance.Recent laws make companies accountable for these errors even if they aren’t done deliberately. I was part of a large customer design thinking and co-innovation workshop to create an automated solution which checks the books for patterns of errors or fraudulent activity based on rules and machine learning. It offers ways to correct them immediately to save companies hundreds of millions and to fulfill new compliance requirements. In close collaboration with tax experts from various large customers I visualized possible solutions through many iterations from sketches and wireframes to a high fidelity click prototype which was presented to customers and the board and was used as a blueprint for implementation. The solution has been released as SAP Tax Compliance and is now used by many large customers. The East-Asian porcelain collection of the Foundation of Prussian Palaces and Gardens (SPSG) offers a rich insight into the fall of the Ming Dynasty, Japanese porcelain quality and the global trade market. However, the beautiful photography and their rich metadata is locked up in a complicated database. In several workshops and close collaboration with the SPSG we got to know the collection and were able to create an interactive prototype conveying the collection’s significance. The goal was to develop a visualization illustrating the collection and its cultural heritage. We developed a new approach with both a narrative and explorative interface. 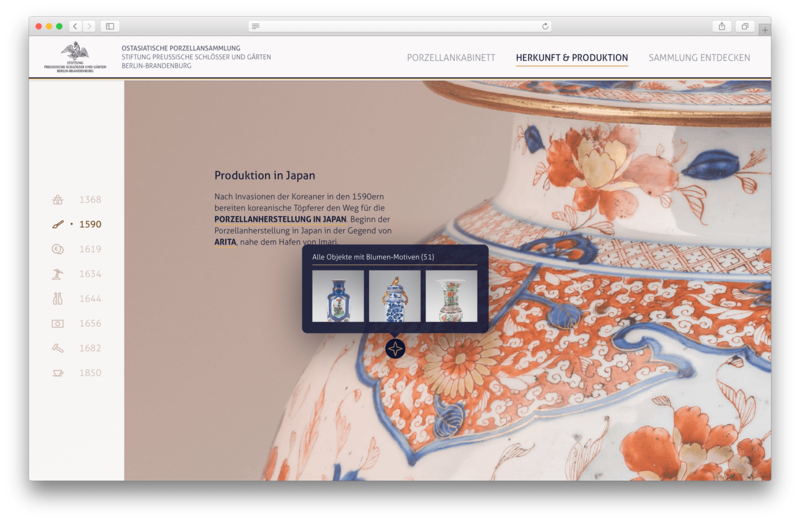 The narrative part aimed at novice users is an interactive walkthrough showing the collection’s heritage and transformation throughout different periods of time. 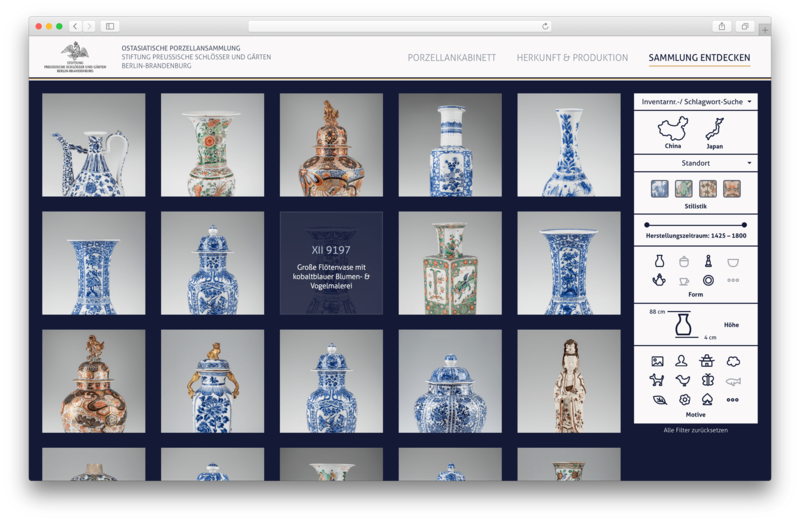 Items from the collection are displayed in-between which link into the second part: The exploratory interface, aimed at advanced users and professionals, which offers a large number of filters and access to high-res photography and detailed metadata of the items. This link between the two different parts gives a wide range of users the chance to get to know the collection matching their own previous knowledge and interest. 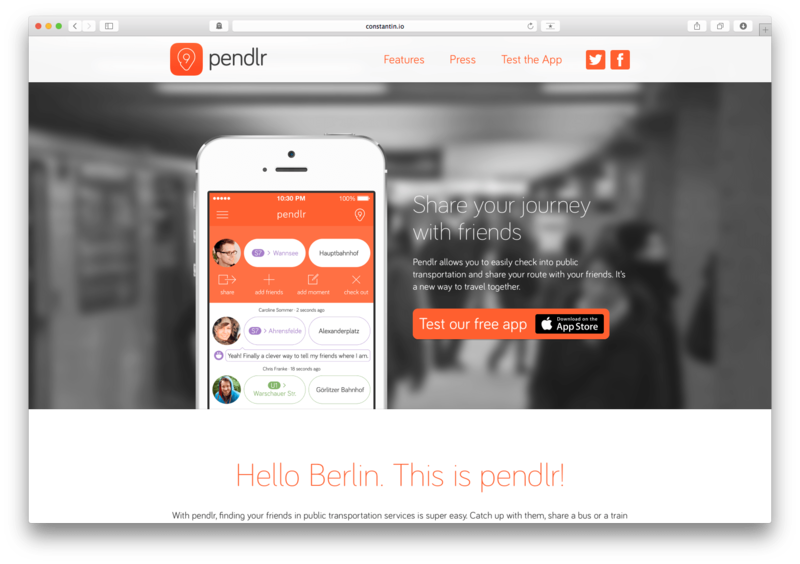 Pendlr is an app serving as a social network for public transportation. 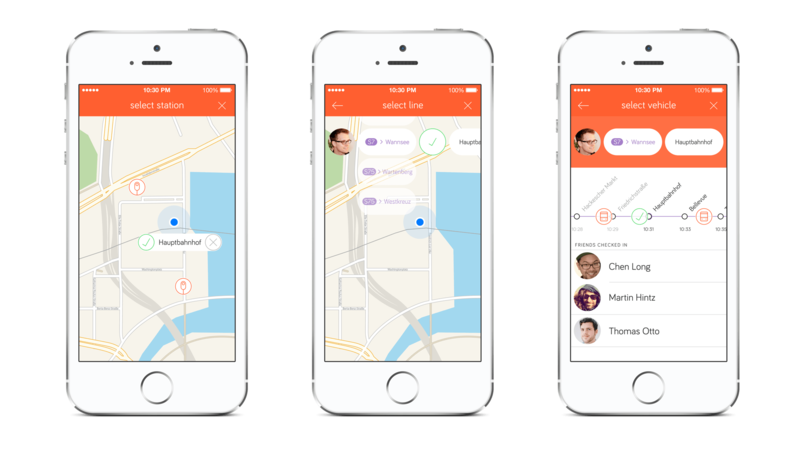 It allows you to share where and in which vehicle you are travelling and shows you relevant information about service disruptions or crowded trains. You can easily see where your friends are commuting so you can meet up and pass the time together. Add a moment to share the good time while travelling together with friends or inform other commuters about delays. 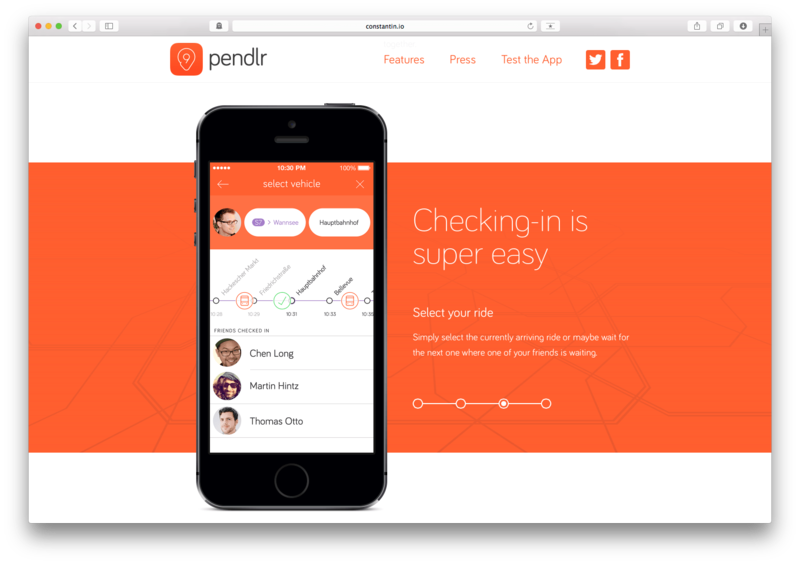 Pendlr is also a great way to see if someone will arrive at your meeting point in time. The check-in process was designed to ask about the user’s current station, line, direction and vehicle in just 3 steps to minimize the effort required to share information. 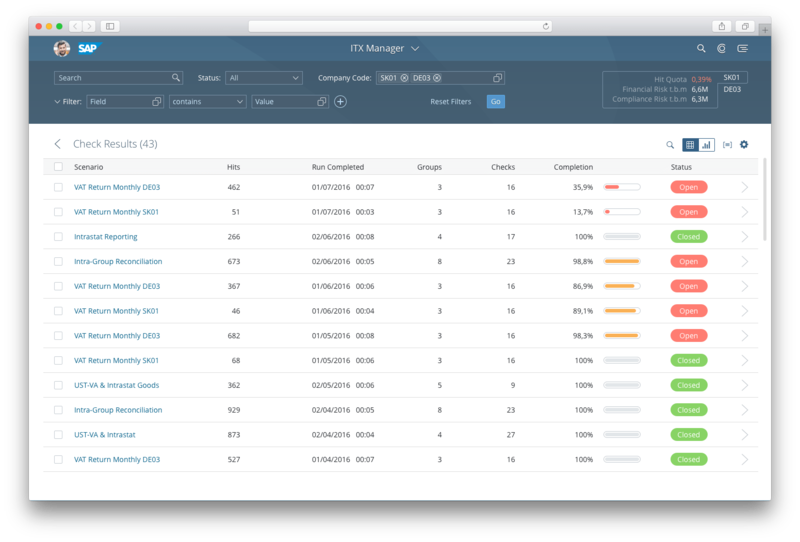 I helped to develop the user interface and product strategy, focusing on UI details and preparing assets for shipment in the app. 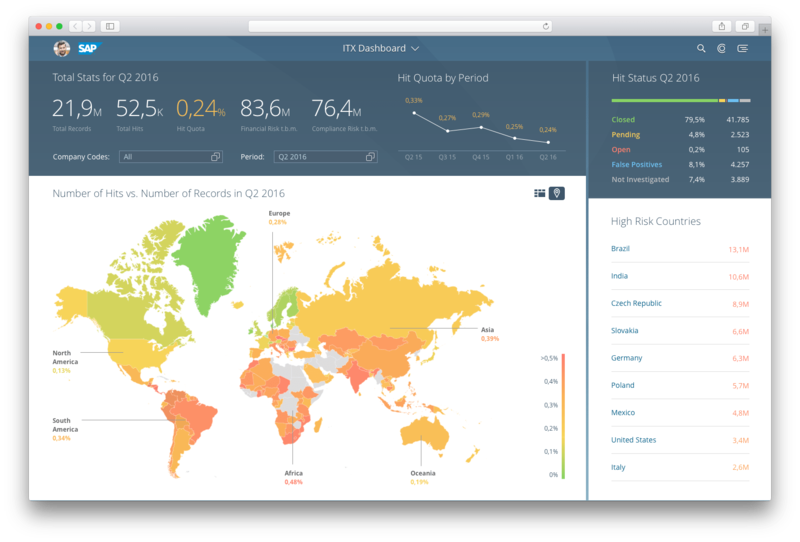 I also realized the product’s website in HTML/CSS with JS animations and ready for retina displays. 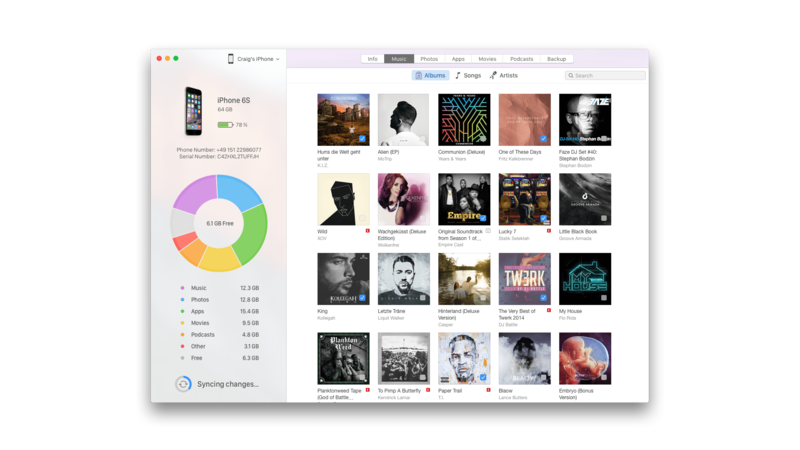 iTunes does it all: It manages all your media, it offers a store to download even more of it and allows you to sync it all to iOS devices. While this multi functionality was great for the iPod era it got too cluttered with the diversity of available media nowadays. The goal was to create a separate sync app serving as a central hub to manage what content should be synced over the air to an iOS device. Sync allows you to manage your iOS devices no matter where they are since they are wirelessly linked to your Mac at all times through iCloud or Wi-Fi. 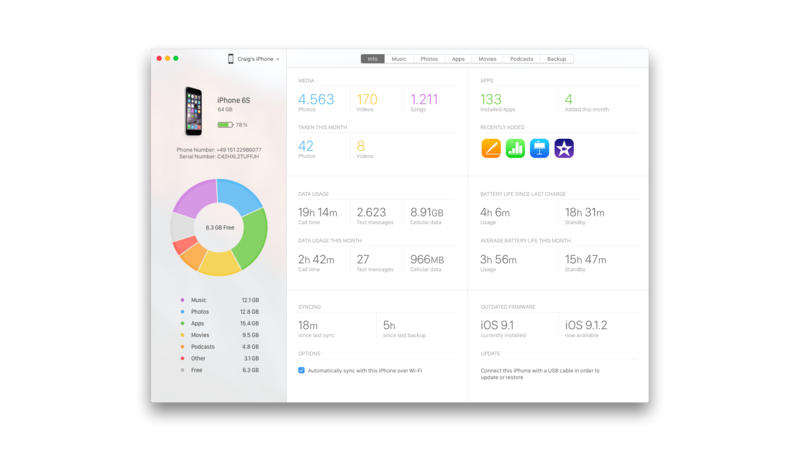 Not only does it show you a whole lot of statistics like data usage and average battery life but you can also easily spot what takes up all the space of your iOS device. There is a tab for each type of media (music, photos, apps, movies, podcasts) to easily select what to sync. The interface was designed in an iterative process meeting standards of the Human Interface Guidelines and to fit the visual language of current Apple products.